Don't miss out! For those who use your mobile devises (cell-phones, and tablets) here are easy links to help guide you to the hot places to dance A Lo Cubano, where you are assured to hear some real Cuban music and casineros (Cuban salsa dancers will be in the crowd). Sat. 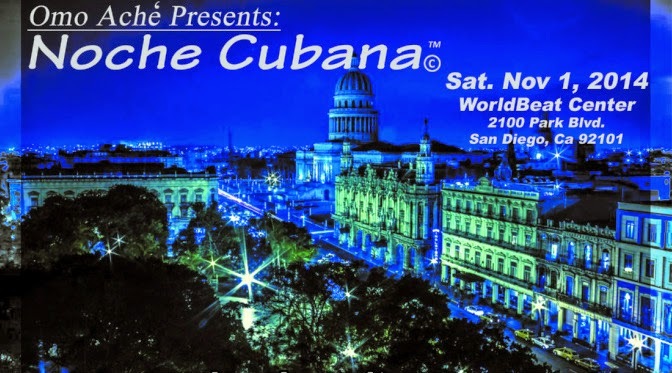 Dec 20th - LIVE Cuban Music at Turquoise Bar in Pacific Beach - there is a time change on this event. Just learned about it Friday. It is now 9pm-1am. Combo Libertad, North County San Diego's very own "son" band is playing again at Club M at the Hotel Grand Del Mar on Friday, December 18th! If you are a fan of live Cuban music, you have to come check out this amazing son orchestra. It's only from 7pm to 11pm, so get there on time so you can enjoy the music longer. LOCATION CHANGE. NEWS ALERT! Emilio Camacho Y Su Timba Light will be at the Turquoise Bar/Cafe in Pacific Beach on December 20th. Spread the word and share this event post. 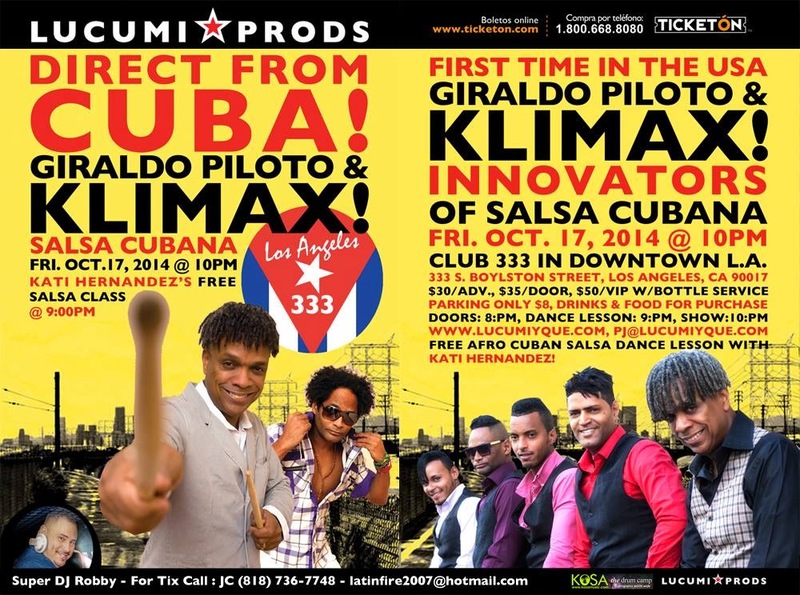 Come listen to the fun poly-rhythmic Cuban tunes of Kimba Light (yes...new name for their group). He will be playing other Latin genres of music as well so it is a timba, chachacha, son, pop en Espanol, rock en Espanol and bachata night. COST: Just buy some food and drinks. Come celebrate the holiday season with me (Maritza) in the Inland Empire. Yes, there is rueda in Riverside!! The location is awesome, in the classy Downtown Festival of Lights area of Riverside. San Diego! Let's go meet our extended rueda familia at the Room To Dance Studio! Downtown Mambo Friday Night Social. North County San Diego Carpool/Caravan Location: Target Store Parking Lot. See this Google Map for the specific location in the parking lot. Park your car closest to the target sign stands. To the right of the Point-B on this map. People have been asking if we are cancelling the casino on Cardboard today. We are watching the weather forecast and so far the weather is on our side. Layer up and let's dance! We will be outside on the CONCRETE near the Oceanside Pier in the amphitheater area. This is a donation event and monies raised will go towards a community snap-together dance floor for future dance parties at the beach on the sand. Also, this is a family friendly event, so bring the kids! Bring something to share and bring some water or any beverage you like. I'll be leading some salsa suelta lines and calling some ruedas. Come learn some of the rueda moves I teach in my Carlsbad class. If you guys don't know Caracol, Paseo de San Juan, Dame con Guaperia and MariMambo, then come to Casino on Cardboard to learn some cool moves, if other rueda instructors come, we will give you the floor to teach you cool moves. We love to learn new stuff and it will get us ready for the rueda festival in San Francisco. Great NEWS! Cuban music is spreading out in San Diego. This time, Emilio Camacho Y Su Timba Light will be playing at the Tourquoise Cafe Bar in Pacific Beach. It has been confirmed but not yet posted on the Tourqouise Bar website. HOORAY! Pacific Beach!!! 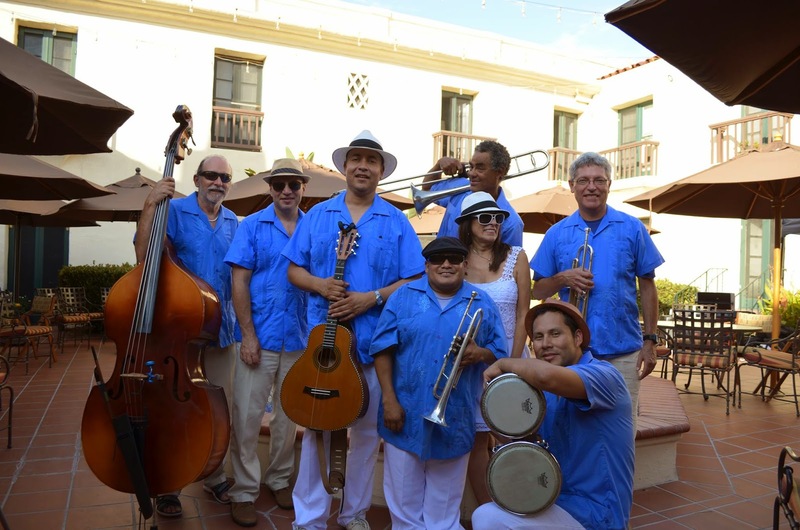 After you've made the trek out to Casino on Cardboard in Oceanside Harbor, and before you go home, come take a break and listen to the next up-and-coming Cuban band in San Diego, where you will definitely hear timba! Casineros should be celebrating because this is a rare and precious occasion to hear timba music LIVE!. Don't miss out! LOCATION CHANGE. NEWS ALERT! 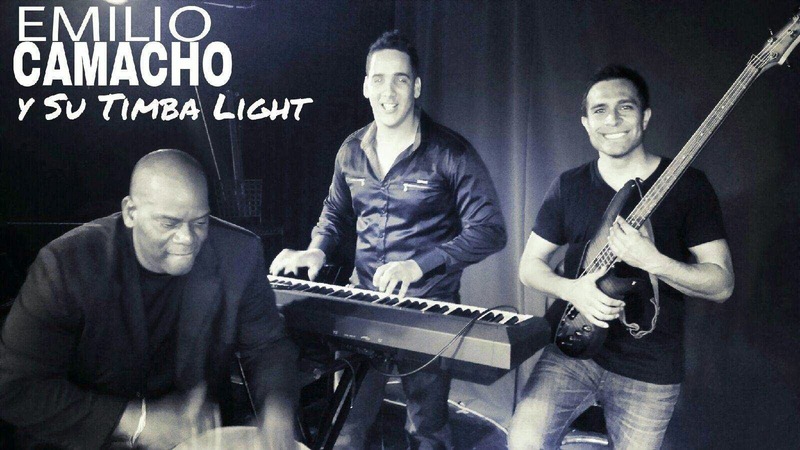 Emilio Camacho Y Su Timba Light will be at Queen Bee's on December 20th. Spread the word and share this event post. It will be a really good time and more space to dance. 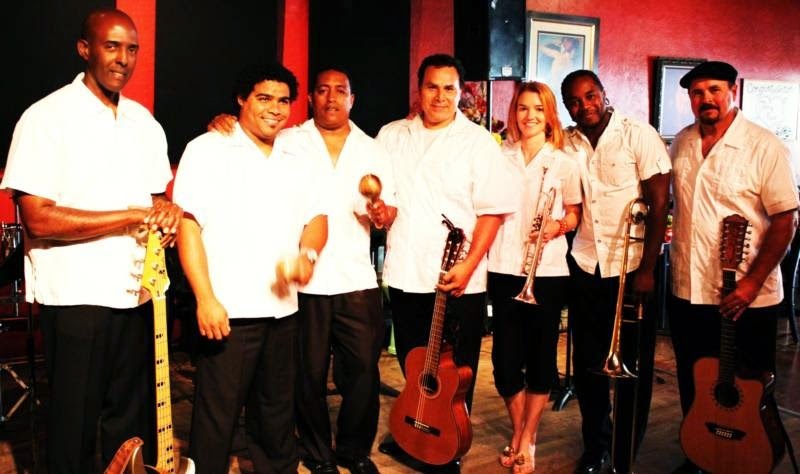 Come listen to the fun poly-rhythmic Cuban tunes of Emilio Camacho﻿ Y Su Timba Light. He will be playing other Latin genres of music as well so it is a timba, cahchacha, son, pop en Espanol, rock en Espanol and bachata night. AGUA!! If you enjoyed the last Tropical Blue event a couple of weeks ago, you don't want to miss this. THIS TIME, It's a night of traditional Cuban music of Son, Bolero & Chachacha. Similar music to the likes of Buena Vista Social Club & Orquestra Aragon, Come listen to Emilio Camacho Y Su Timba Light play the old classic music and songs Emilio has composed himself in the same music style. This event will have food this time as the will be a Cuban home-style dinner. There will be a son/chachacha lesson to start the evening. Come and enjoy the the music as it will take you back into time in Cuba. If you are a frequent mobile devise user, you now have access on your cell phone or tablet the December upcoming events. Oh the places you'll go...and dance! That's right! Obako Son has a new name. 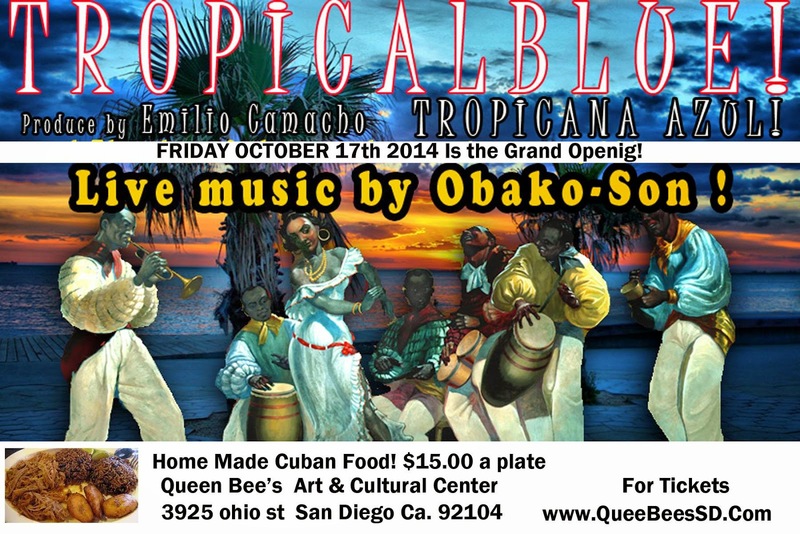 If you attended the Tropical Blue Cuban Night event jsut recently, they are playing again but under a NEW NAME. Let's give it up for Emilio Camacho Y Su Timba Light. Come listen to our very own local timba band. COST: Just buy some food and drinks! Keep that place busy! LOOK! 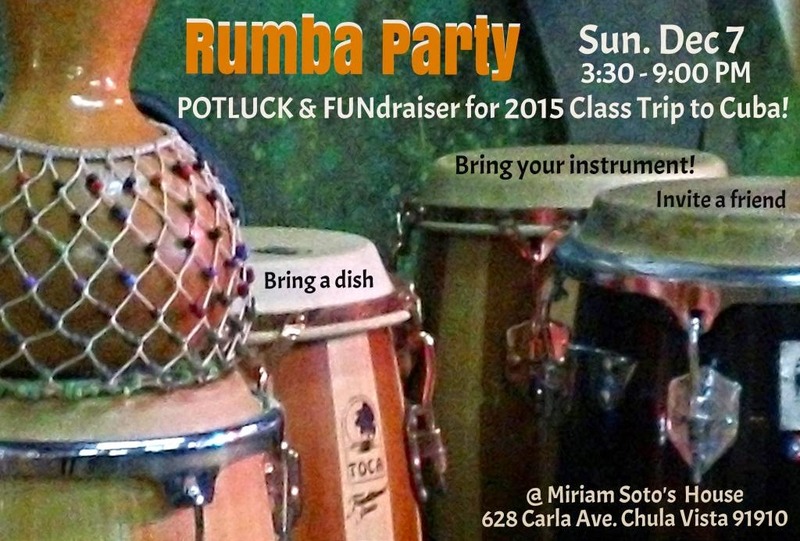 There's a Rumba Party in Chula Vista!! The Rumba Party is hosted by Miriam Soto. This is a chance for all of us to get together and celebrate as we enter the traditional Holiday season. It is an opportunity to dance, drum, eat and have some fun! It will also be an opportunity for you to learn about our plans for traveling to Cuba in 2015. We will be welcoming donations for this at the Rumba! All donations will go toward supporting program development for this trip. Please bring a dish to share. Those of you who play, please bring your instrument. Invite a friend to enjoy the rumba! What's a rumba without our friends? HOW TO PREPARE: Bring a potluck dish and a donation for the class trip to Cuba. 4. Most importantly dance rueda de casino everywhere we go. 9:00am - Meet at the Vista Farmers Market in front of the crapes booth to eat a healthy breakfast together and dance a couple of ruedas. Here is the link to the Farmer's Market Info: http://vistafarmersmarket.com/ Then we go do our grocery shopping at the farmer's market and dance rueda in the parking lot. 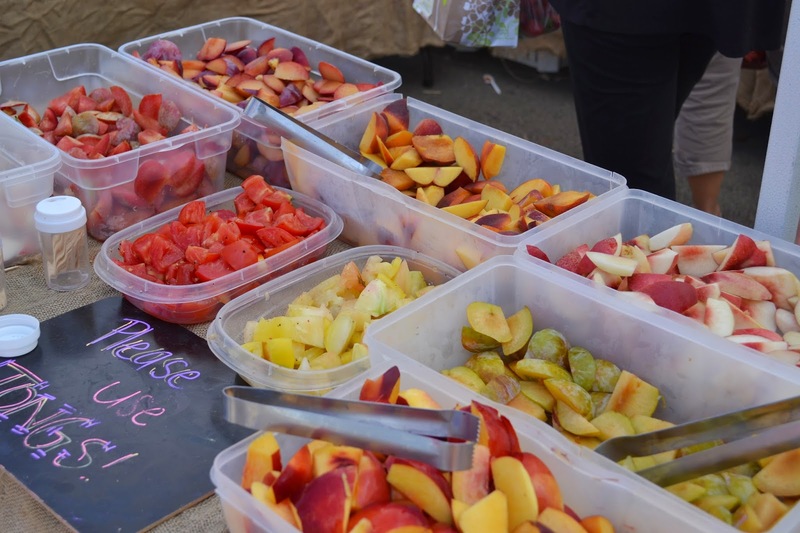 There is all kinds of healthy goodness at this Farmer's Market so bring some cash and buy some healthy food or do some Christmas shopping. Here is the link to the directions to the Vista Farmer's Market. This Google Maps link takes you to the parking lot where the Farmer's Market sits. We will hike to the crater and dance rueda at the top. Great view by the way! We will go shopping for Chrsitmas or just people watch (no matter) and dance rueda in the middle of the crowd. This is a progressive rueda day to spend time with friends while we eat, hike, shop and dance and be happy! Bring a camera! It's gonna be fun! People have been asking if we are cancelling the casino on Cardboard today. We are watching the weather forecast and if it continues to rain after 12 noon, we are cancelling it. 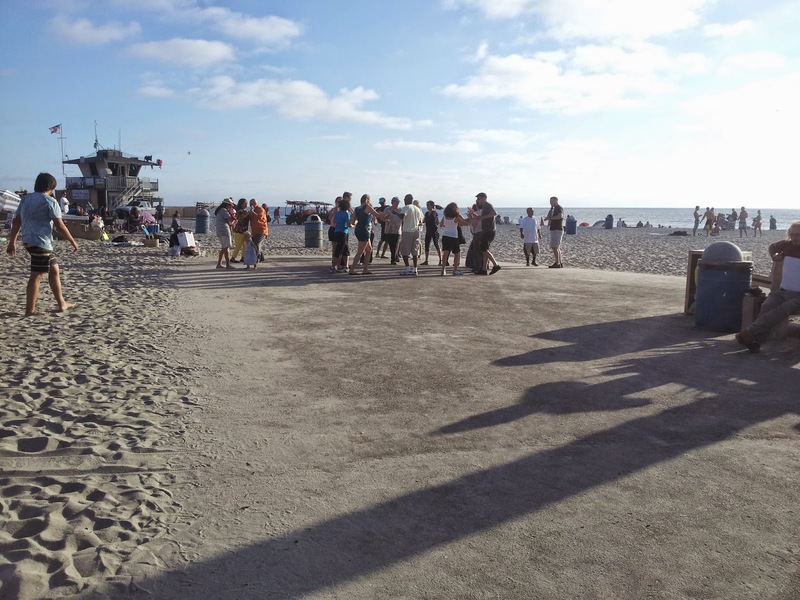 If the weather clears up, we will still dance outside on CONCRETE near the Oceanside Pier in the amphitheater area. 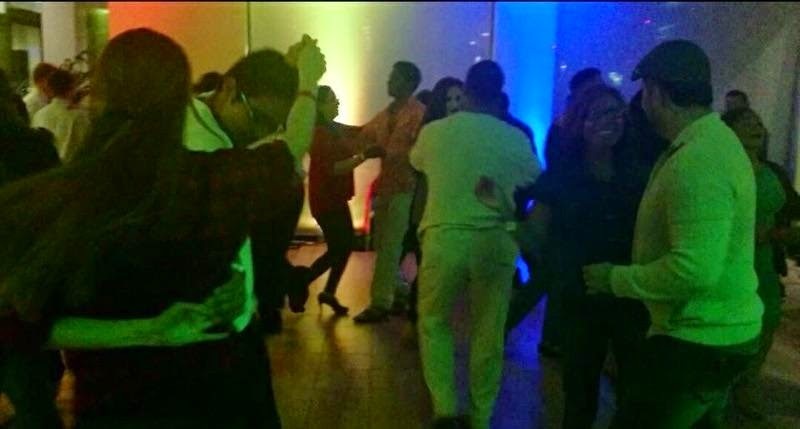 In L.A.: CURUYE's DECEMBER CUBAN SALSA TIMBA DANCE PARTY! KATI HERNÁNDEZ will be warming us up with her fun and sabroso AFRO TIMBA at 5:30 PM, and her PA' LA ORILLA dancers will be on hand to add to the energy! DECEMBER BIRTHDAYS of (so far) ANA GUAJARDO! CARMEN LUCERO! CHIQUITA FLOWERS! CHUY PÉREZ! IRIS SANDRA CEPEDA! JEANNIQUE PROSPERE! LARRY THOMAS! DEEJAY WARAPO! WILLA STEVENSON! Throughout the night, The GRANADA's Chef Israel will be serving up tasty dishes from his varied menu! SPREAD THE WORD, PUT ON YOUR DANCE SHOES, and LET's START THE HOLIDAY SEASON RIGHT! $10 cover includes Kati's dance class. The GRANADA, 17 South First Street, Alhambra 91801. FREE 4-HR PARKING IN PARKING STRUCTURE ACROSS FROM THE GRANADA.. If you have never been to this Festival and you are fairly new to rueda have been a beginner for a year or two, this is the biggest Salsa/Rueda in the nation. You attend one of these and it will improve your casino and rueda dancing. You will learn so much. For those who are just learning rueda de casino (less than a year) I highly recommend the Beginners Bootcamp. Excellent instructors who will help give you a foundation of casino footwork, improve your body movement, hand connections techniques, ways to stay on the beat. This rueda congress will inspire you to keep dancing. I never miss this festival and I come out of it feeling inspired to learn more. Deadline for the regular price of the full pass or limited access pass before it goes up is December 1, 2014. You can get your tickets now online by clicking this link. San Diego casineros will be there! We'll be staying at the Hotel Whitcomb, where the festival takes place. Let Maritza know you are going by contacting her on sandiegorueda@gmail.com so that way we have a headcount of our San Diego peeps. Maritza can also help with helping you find a hotelmate. 4 to a hotel room is the best way to save. So reserve your hotel now and start requesting roommates! For more information on the festival, go to the San Francisco Salsa Rueda Festival website. The 2015 workshop schedule is not up yet but you can take a look at the 2014 workshop schedule to get a taste for the kinds of workshops you can take. Get your tickets NOW! 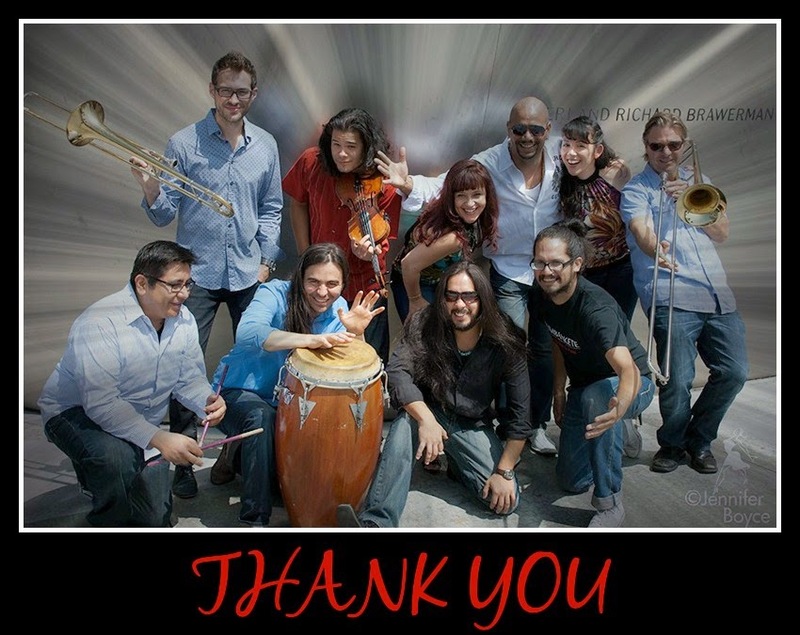 North Park is going to be jamming to timba, son and Cubaton, along with live music from Obako Son. There will also be rueda de casino lesson. Included in this event is a homestyle Cuban meal as well! Come support this grass roots effort where it is truly a Cuban night. This is the real deal and there will be Cuban music played all night long. COST: $15 for Cuban Food and entrance fee ; $10 for entrance fee only. Pay cash at the door. Son is the style of dance and music that directly preceded Salsa in Cuba, but it is still a living tradition in itself. It is beautiful and elegant, simple in movements but sophisticated in rhythm and style. Many of the best salsa dancers incorporate movements, turns, timing, and style from son into their salsa dancing. In this class you'll learn the characteristic rhythm of Son (called "contratiempo" or "on 2") as well as some fundamental steps, movements, and turn patterns. 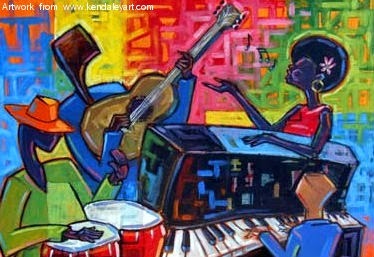 The clave is the rhythmic essence, the "key," of salsa music. In this class you'll learn to identify the two key distinctions that make the four types of clave used in salsa: 3-2 vs. 2-3 and son vs. rumba. We'll use this knowledge of the clave to help us switch back and forth between dancing "on 1" ("a tiempo") and "on 2" ("a contratiempo"). And beyond the how of switching time, we’ll delve into why you would want to switch: what cues to listen for and respond to in the music. It is highly recommended (but not required) to take the Intro to Son class prior to this class. Santiago is the birthplace of Son Cubano and continues to be a center of innovation in both dance and music. Ryan and Sidney traveled to Santiago in July, studying from several different groups and teachers. In this class we'll show you our favorite new moves from Santiago, both one-on-one Salsa patterns and group moves for the Rueda. In this energetic, full-body workout, we explore the roots and relatives of salsa. We warm up with basic footwork and move on to explore more complex rhythmic variations and related dance styles (such as Son, Mambo, Rumba and Cha-cha-chá) building towards completing the class with a dynamic and fun choreography. We will focus more on the relationship between Rumba and Salsa on Saturday, and the relationship between Son and Salsa on Sunday. We are taking our Casino-on-Cardboard inside and calling it Casino-on-Tile!!! In celebration of our guest rueda instructors (Ryan & Sidney) visiting us in beautiful San Diego, they want to get to know you and dance with you. We have reserved Roi Brignac's Clubhouse in Oceanside for a Timba House Party. The Cuban salsa momentum is getting stronger on the North side of San Diego. Come make the trip to Oceanside and dance to timba and son Cubano and Cubaton with us. The Clubhouse, where the party is taking place is part of Roi's apartment/Condo Complex. It has a HUGE community space with a tile floor and a kitchen. Thanks to Roi, we have a place to dance to Cuban music (Timba - old school and new). Ryan and Sidney are bringing the tunes to play tomorrow night. POTLUCK style. Family friendly as well! Bring your favorite wine or craft beer and a food pairing. We are all a bunch of healthy conscious casineros so any healthy dishes with lots of protein are very welcomed. We will provide the iced bottled water. Get ready for some off-the-chain ruedas with Ryan and Sidney. They are amazing callers. We are gonna shake it hard what your mama gave you!!! WHERE: Roi's Clubhouse (private residential community space) on the first floor - listen for the timba music, condo complex front door will be open in front. HOW TO PREPARE: Bring your favorite wine or craft beer and a food pairing. We are all a bunch of healthy conscious casineros so any healthy dishes with lots of protein are very welcomed. Bring a towel or a fan if you have one, the space does not have great ventilation. We have great news to share! In November, we will have the honor of hosting Bay Area's highly acclaimed rueda/casino dance instructors, Ryan Mead & Sidney Weaverling from Rueda Con Ritmo. Heavily sought after instructors whose dance congress workshops fill to capacity for their talent in teaching musicality and incredibly fun and entertaining rueda moves and salsa suelta moves that match the accents to Cuban music and timba. These workshops are also for casineros & salseros looking to challenge themselves to dance on clave (on-4). 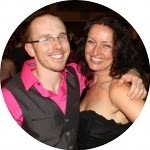 To learn more about Sidney & Ryan, please check out their bios and videos on their website titled Rueda Con Ritmo. See below for workshop descriptions. Pre-Registration begins now until Friday, Nov 15th 10pm. Then the Paypal window will close and classes will be at-the-door prices for workshops. 1. Send Maritza your e-mail address to sandiegorueda@gmail.com, let her know which workshops you are paying for and she will send you a Paypal Invoice where you pay online. Cuban-style salsa (sometimes called casino) is dynamic and circular, even when not danced in a circle (rueda). In this class we will teach some of our favorite one-on-one turn patterns (traditional and original). Ryan and Sidney will teach separately, so there will be two different levels dancing simultaneously (beginning and intermediate/advanced). Rueda de Casino was first created by a group of teenagers in Havana in the late 1950s and early 1960s. 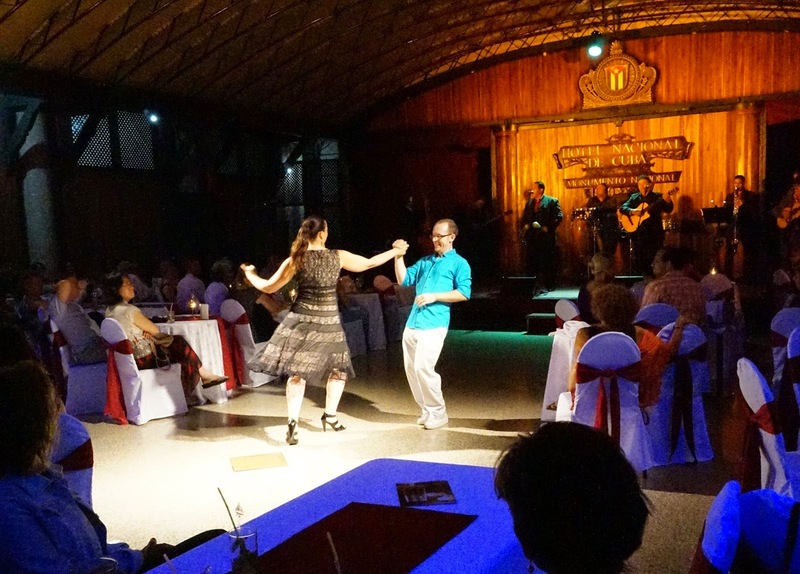 In July, Ryan and Sidney traveled to Havana to meet and dance with several of the original dancers of the style (called "Fundadores," now in their 60s and 70s). In this class you'll learn many of the moves from the early days, including Derecha-izquierda, Bótala p'atrás, Enróscate, and Bikini. Cuban music is incredibly rich and rhythmically layered, offering us a great abundance of material to draw upon as dancers. In this class you'll learn some of the most common accents in timba how to express these rhythms with your body, primarily through changes in footwork. This rhythmic understanding will enhance your enjoyment of the music and invigorate your dancing, both in the rueda and with a partner. Check this out! GENTE de ZONA !! Cuba's 4X Latin Grammy nominated REGGAETONEROS, in L.A.
For the casineros on the road with mobile devises looking for what to do that has casino dancing and rueda de casino, and Cuban salsa suelta, this weekend and next is packed with some good stuff. Check it out!! Easy to use, links are all set up with Google Map directions. Hope to see you there!!! If the DJ's in San Diego could do what the Orange County DJ do and play timba, we'd have more places to dance casino and rueda de casino. Take this, for instance. Now that is what I am talking about!!! INCLUSION OF TIMBA. 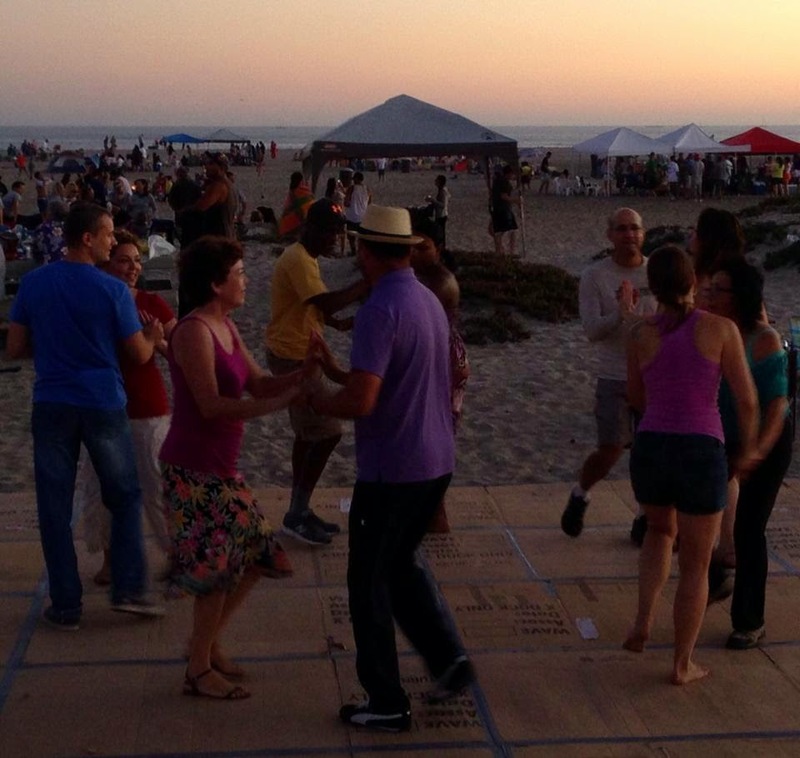 Orange County's Salsa Scene's got it going on! 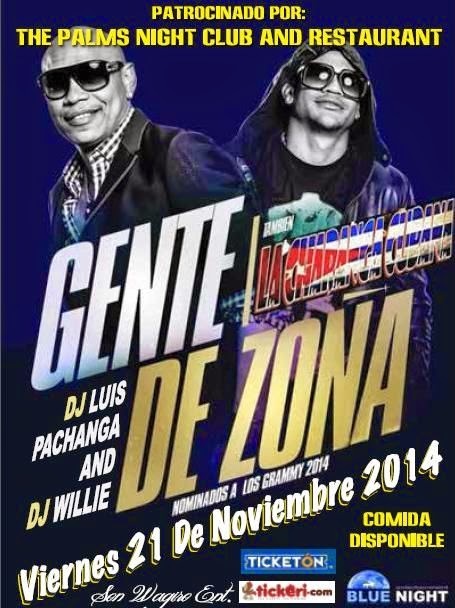 If you are looking for an integrated night of Latin music that has TIMBA in the mix, here is a place to go. They even have a rueda/casino class!!! Every 1st Friday of the month!! 9:30pm-2am: Floor opens up for dancing. COST: $10 for everything (classes included). RSVP on Facebook for 50% off on their event page. A BIG SO CAL WELCOME TO DJ WALT DIGZ DOWN FROM THE BAY TO SPIN FOR CURUYÉ! SUNDAY, NOVEMBER 9! CUBAN SALSA! TIMBA! SON! RUMBA! REGGAETÓN! 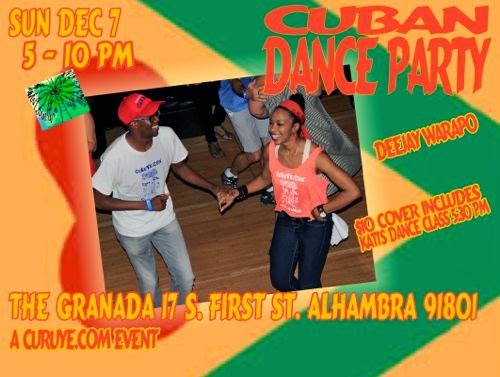 …at CURUYE’s NOVEMBER CUBAN SALSA TIMBA DANCE PARTY! YES! FOR OUR NOVEMBER CUBAN SALSA TIMBA DANCE PARTY WE HAVE A SPECIAL TREAT with WALT DIGZ COMING BACK TO SPIN HIS CUBAN MUSIC MAGIC FOR CURUYE DANCERS as he did four years ago! GABI TORRES, JODI COLLOVA, LUPE JORGE, RACHEL HERNÁNDEZ so far are the NOVEMBER BABIES looking forward to dancing the BIRTHDAY DANCE with you. (Message CURUYE.COM if you’d like to celebrate your November birthday!) KATI HERNÁNDEZ will be leading some fun and funky AFRO TIMBA at 5:30 PM, and her PA’ LA ORILLA dancers will be adding to the dance fun! The GRANADA has a full and varied menu for hungry dancers, and a super staff! 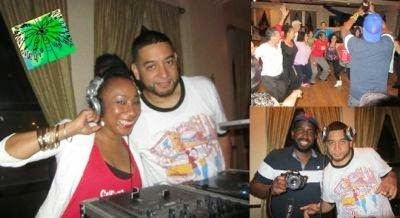 COME SHOW YOUR LOVE FOR DJ WALT DIGZ, AND LET HIM KNOW SO CAL LOVES DANCIN’ TO CUBAN MUSIC AS MUCH AS THE BAY DOES! Please help support Curuye & The Granada by leaving your personal beverages at home. Gracias! If the euphoric effects of Noche Cubana are leaving you nostalgic and having withdrawls .... and wanting more casino and timba, get ready for some more fun!! Yes! FOR THE FIRST TIME, North County San Diego is stepping up offering you a timba house party in Oceanside!!! Thanks to Roi Brignac, we've got the Clubhouse in his condo/apartment complex this Saturday from 6pm-10pm. It is an awesome space to dance and have a potluck. Plenty of parking across the street in the parking lot. We ask everyone to bring a dish and drinks to share. Bring your best pairing of wine/special crafted beer and cheese or healthy blends of food, snacks, and drinks. Home made meals with lots of protein options are encouraged. We also have a visiting casinero from New Mexico, a featured DJ at the San Francisco Rueda Festival, Patrick T. Noble known in the timba congresses as DJ PA Trix, in town to offer his playlist of the newest timba and mixing the old school timba with the new stuff for our party. BUT wait! There's MORE! 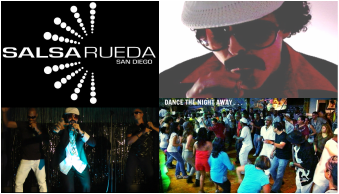 We have been asked to do a flash mob rueda at the Dancessence Studio in Carlsbad. Same routine from Noche Cubana we might spice it up with some other fun moves. This will take place at 8pm. We will squeeze a bunch of people into a few cars (only 9 miles away) and we will invade Dancessense Studio's dance party and do a flash mob rueda/performance (one song and leave). Then afterwards, we go back to Oceanside and party it up until 10pm. HOW TO PREPARE: We ask everyone to bring a dish and drinks to share. Bring your best pairing of wine/special crafted beer and cheese or healthy blends of food, snacks, and drinks. Home made meals with lots of protein options are encouraged. YOU ARE PERSONALLY INVITED!!! UNA BULLA!! Classes can be taken individually or enjoy both. Learn to play and/or dance the Rumba Columbia. 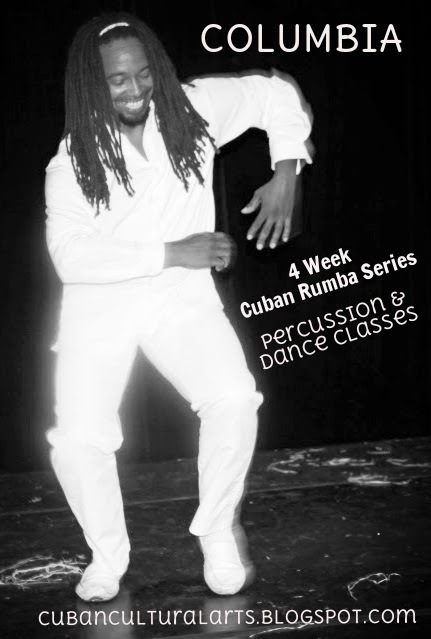 This Afro-Cuban rhythm and dance are derived from Cuba's African & Spanish traditions. Accompanied by this dynamic rhythm, the dancer demonstrates their agility, strength, confidence and even sense of humor while always maintaining a strong connection to the drum. Likewise, the drummer must also maintain a strong connection to the dancer's spontaneous changes in movement whenever they occur. 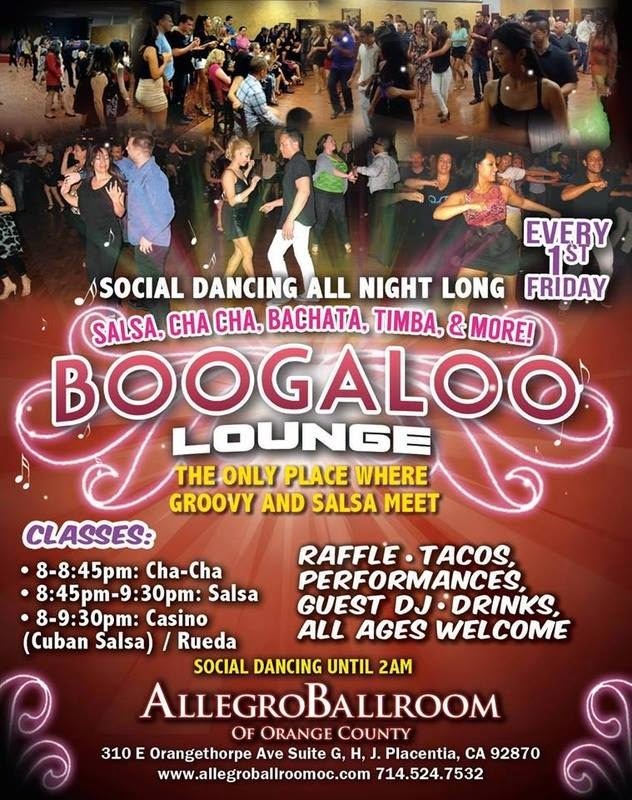 Come check out what this fun and stylized Rumba music & dance is all about. New and drop-in students welcome. 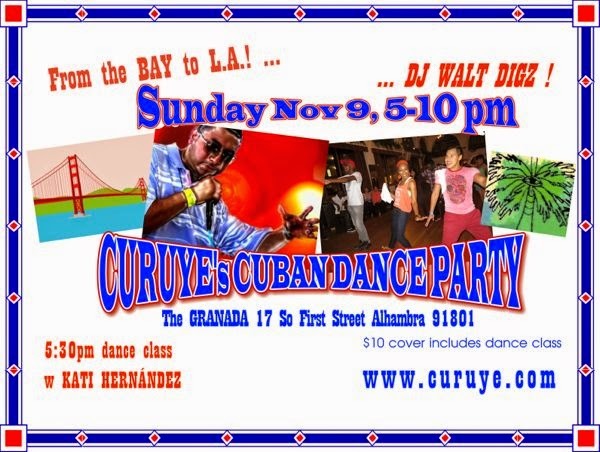 In L.A.: DJ WALT DIGZ @ CURUYE's NOV 9 CUBAN DANCE PARTY! GABI TORRES, JODI COLLOVA, LUPE JORGE, SO FAR are the NOVEMBER BABIES looking forward to dancing the BIRTHDAY DANCE with you. (Message CURUYE if you’d like to celebrate your November birthday!) KATI HERNÁNDEZ will be leading some fun and funky AFRO TIMBA at 5:30 PM, and her PA’ LA ORILLA dancers will be adding to the dance fun! The GRANADA has a full and varied menu for hungry dancers, and a super staff! COME SHOW YOUR LOVE FOR DJ WALT DIGZ, AND LET HIM KNOW SO CAL LOVES DANCIN’ TO CUBAN MUSIC AS MUCH AS THE BAY DOES! All Ages Event! Children 12 & under Free! Get ready for San Diego's premier Cuban Music & Dance Party featuring live performances by SD's favorite Rueda de Casino, with the best of the Rueda community's dynamic moves, the classic sound of Guarapo Cuban band, Omo Aché's rhythmic tribute - "Fantastic Five" and a special performance by "El Puro." Don't miss your Free Salsa lesson with Juan Carlos Blanco & keep grooving to the best Cuban music on the open-floor dance party! A bailar y a gozar! For your instant gratification needs, I have posted all links to details of local San Diego (and neighboring county) events below into one blog spot. Enjoy and let your fingers click away to all the dancing!! Weaaa! San Diego has been blessed with a new Cuban Son Band called Obako-Son. This event is produced and led by Emilio Camacho, our local Cuban tumbador extraordinaire! Come and have some authentic home made Cuban food, listen to some authentic son Cubano and let's dance! COST: $15 - includes entrance fee and a Cuban meal (HOMEMADE!) per person. No separate fee for just entrance. It's still $15.00 a person BUT worth it!! CLICK HERE: CURUYE's VIDEO INVITE & YEAR-IN-REVIEW IN PHOTOS! YOU MIGHT SEE YOURSELF! PARTY UPDATES: In addition to RUMBANKETE playing LIVE, to make sure we stay on the dance floor all night we'll have 2 DJs! DJ RICUBANA, & DEEJAY WARAPO will be spinning between live sets! *WEAR YOUR CURUYE TEE SHIRT & YOU'LL GET AN EXTRA RAFFLE TICKET! Chef Israel will be serving up everything from sandwiches and salads, to entrées like Curuye's fave: the lechón asado (roasted pork). If you think you'll be eating with your group, we can reserve you a table! San Diego helped make last year's party unforgettable! Come out 'A BAILAR y A GOZAR' again! 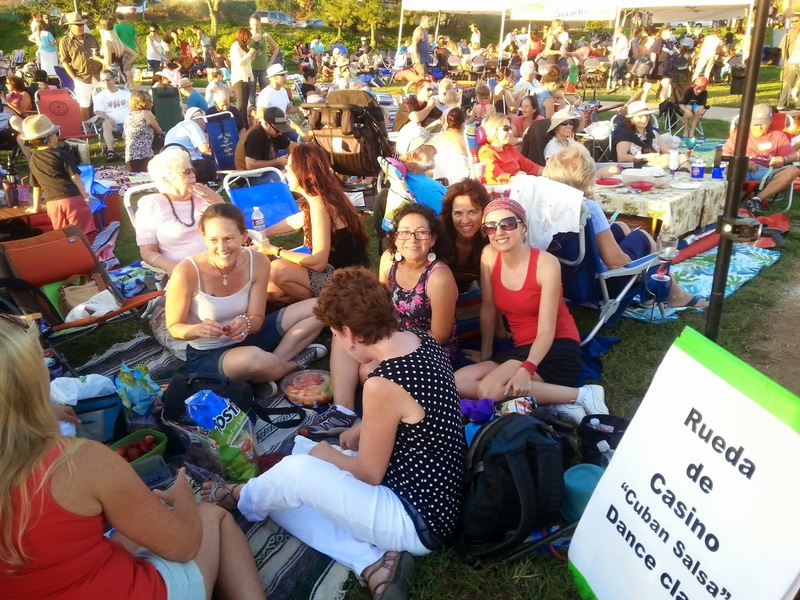 Casineros using mobile devises (cell phones & tablets) who want a click-n-easy access to details on Cuban dance or music events happening around San Diego and neighboring counties, use the links below to help you find you way to us! -- Una Bulla!! Sat/Sun Sept 27-28 - Adams Avenue Street Fair - 3 Local Cuban Bands Live! It's that time of the year for the annual Adams Avenue Street Fair. If you love music of all kinds , you will LOVE this fair. It's all about music. The really cool part about it is that they are featuring a couple of Cuban bands. Come support our Cuban band. Come dance, come play! Click this link for the map of the Adam Avenue 2014 Street Fair Stage Locations. Scroll down to the very bottom of the webpage. If you've never been to a Curuye dance party, it is the ultimate of a happy fun Cuban dance night scene. You have to put this on your bucket list of things to do if you are a casinero before you die. This is one commute to LA worth driving for. 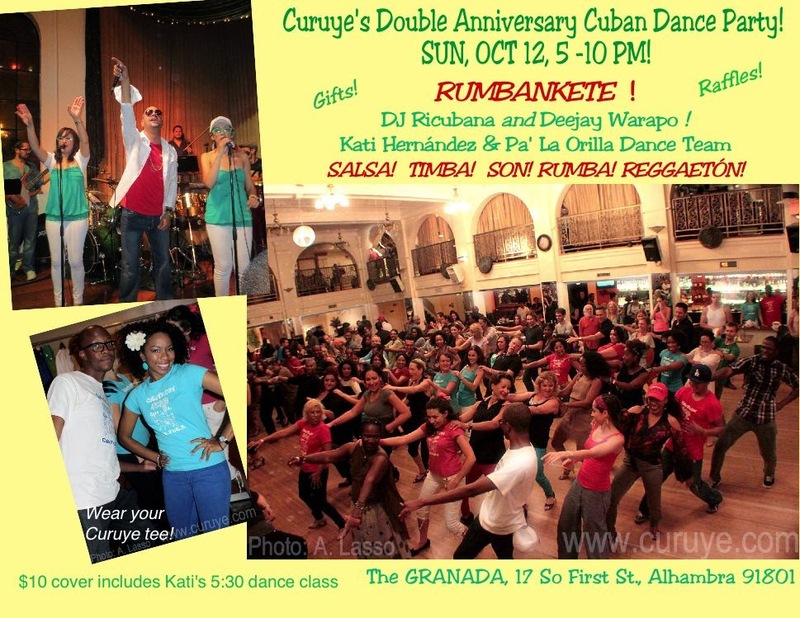 The October Curuye party is a special anniversary party featuring Rumbankete LIVE at the Granada (Alhambra). You don't want to miss it. Mark your calendars everyone! RUMBANKETE's NEW SINGLE NOW ON iTUNES! 'CUANDO SUENE'! 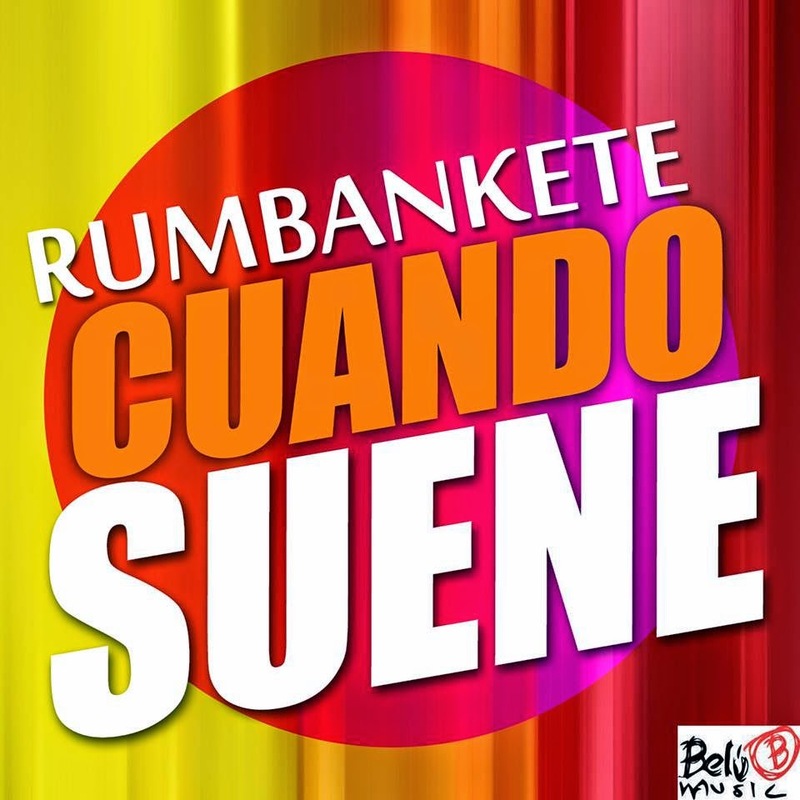 "Cuando suene" Rumbankete's New Single is in iTunes. If you did not get enough dancing this last month's Casino on AstroTurf at Solana Beach, you will get more next Saturday at Casino on Concrete. We are dancing at Moonlight State Beach in Encinitas Still North County San Diego). Get ready to shake what your mama gave you and join in on some fun ruedas. We haven't had a chance to dance casino as a large group since last time so bring all that pent up Cuban dance energy and come dance outside with all of us. - A camera/mobile devise for sunset rueda pictures! We will dance way past the sunset and into the night. Glow gear will be provided!! 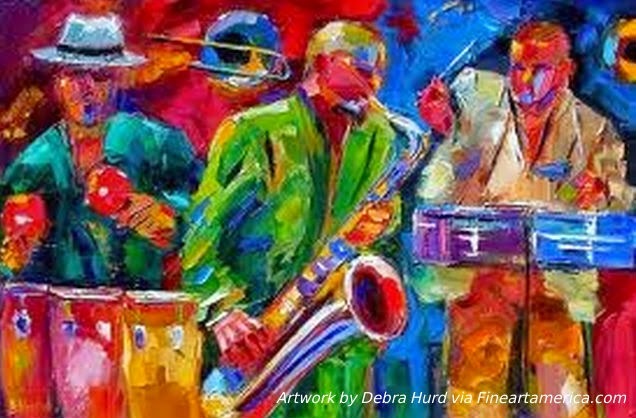 Enjoy a night of LIVE Cuban Music & Dance entertainment, authentic Cuban cuisine, and dance the night away to the best in Cuban classic and contemporary hits! FREE Salsa lesson included. 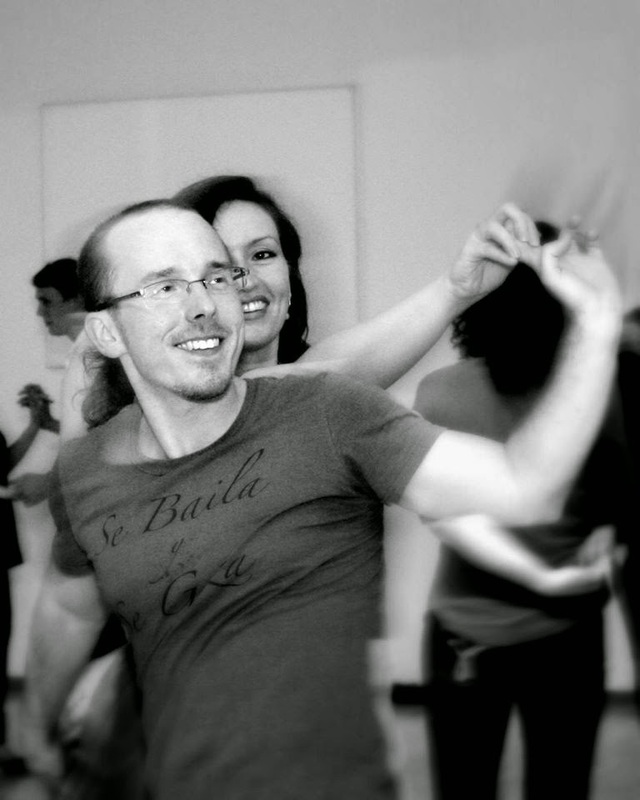 Salsa-suelta or free-style taught by Master Dancer Juan Carlos Blanco. 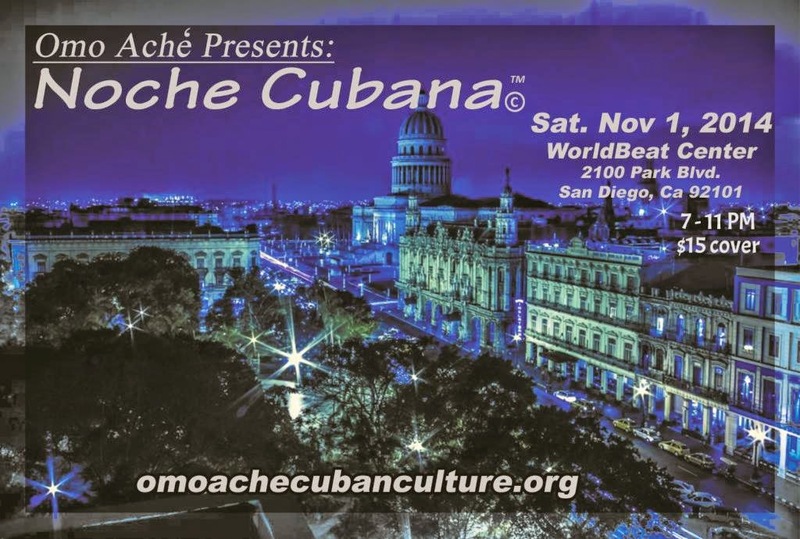 Live show featuring San Diego Rueda & Encinita's Casineros' Rueda de Casino, Cuban Band - Warapo, Omo Aché's "Fantastic Five," and "El Puro" plus a Cuban-style dance party featuring the best dance hits for an open dance-floor. Delicious Cuban cuisine by Las Criollitas & Mojitos, Ice-cold beer, & other beverages by WorldBeat Cafe available for purchase. Cover: $15, All ages event! Children 12 & under FREE. 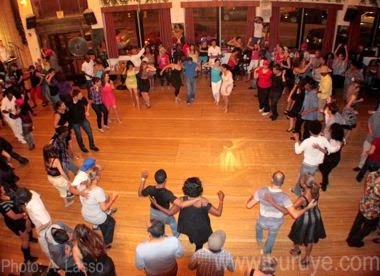 Cuban-style dance party featuring a FREE Cuban Salsa lesson (free-style/no partner required) taught by Master Dancer Juan Carlos Blanco. Dance the night away to the best in Cuban classic & contemporary hits! GREAT NEWS! I am bringing two stellar Cuban dance instructors from the Bay Area, Ryan and Sidney from Rueda Con Ritmo, to come teach musicality and rueda workshops. You do not want to miss these incredible instructors. At rueda congresses, participants pack in and fill up their workshop rooms. My personal experience learning from them, back in Seattle, is that they are excellent teachers to teach Cuban dancing to the many polyrhythmic beats and accents to timba music. Their performances are by far the most challenging and well orchestrated. For non-Cubans who learned dancing to numbers, like myself, new to rueda and casino, Ryan & Sidney have a way of breaking down the music and teaching how to dance changing time utilizing visual aids and crafting music that help the Salsero On-1 dancers to pick up the time change on the footwork. 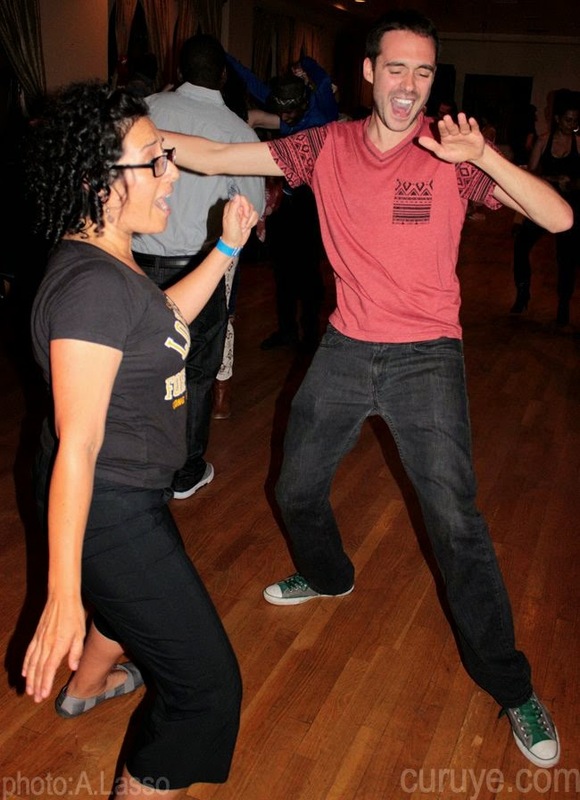 Ryan brings in his years of knowledge of Cuban music and Sidney brings her years of knowledge of Cuban Salsa and rueda. She is so creative in her choreography. Some of my best learning moments on understanding the music (Cuban music) have been with Ryan and Sidney. Check out their website and watch their performance videos. They were the first instructors who helped me to navigate changing time from dancing On-1 to On-4 and back to on-1 in the same move. Be on the lookout for their workshop information forthcoming! Just SAVE the date! Sat & Sun Nov 15th & 16th. We will celebrate and party with Ryan and Sidney that weekend! !